Over the last couple of months, horrible hate crimes have threatened the marginalized communities across the United States. In the worst forms of violence, homophobia, Islamophobia, xenophobia, police brutality, and criminalization of women’s rights have reminded their presence in the society. At this point, Asian Pacific American Labor Alliance is taking a stance to shatter the model minority myth, resisting the positioning of Asian Americans and Pacific Islanders as tools of white supremacy. Since the organization’s founding, APALA has always stood in solidarity with other communities of color. During the founding convention in 1992, the first action ever done by the organization was a march to demand justice for Rodney King, a Black worker who was beat by officers of the Los Angeles Police Department. 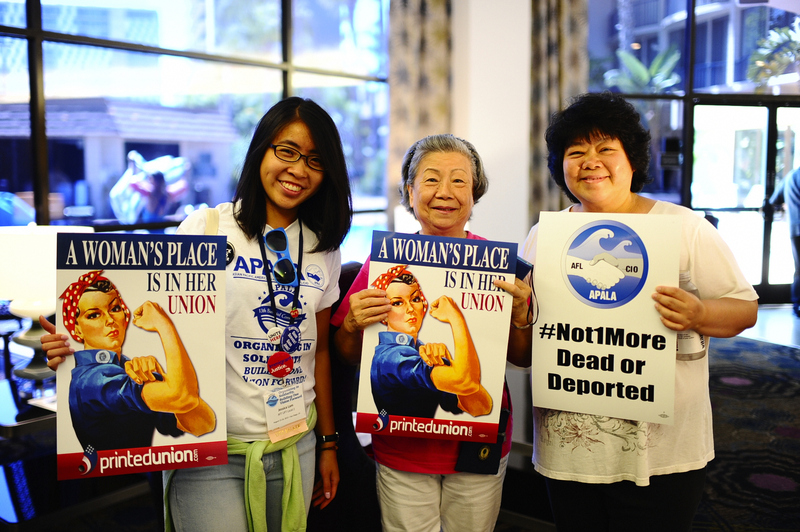 Additionally, APALA has played a unique role in addressing the workplace issues of the 660,000 AAPI union members and in serving as the bridge between the broader labor movement and the AAPI community. The #NotYourModelMinority Pledge is a call to action for the Asian American and Pacific Islander community as well as co-conspirators to help shift the narrative and culture associated with the broader AAPI community. By taking the #NotYourModelMinority pledge, APALA is committing to a future where Black lives, people of color, LGBTQ individuals, differently-abled people, Indigenous communities, people of various spiritual beliefs, working-class and immigrant communities, and women are freed from state sponsored and institutionalized forms of discrimination, racism, and violence. Standing on the side of freedom and justice for everyone, APALA is inviting you to stand on the same side by taking the #NotYourModelMinority Pledge. To take the #NotYourModelMinority Pledge, visit this page. You can find more information on the full campaign here.